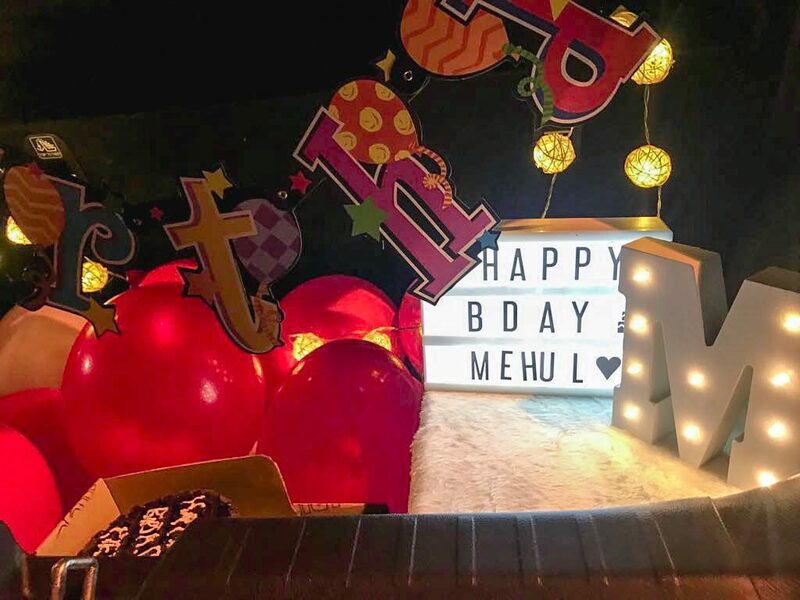 5th August is Mehul’s birthday, and it was his second birthday after our wedding. As it’s on 5th I like to celebrate it from the 1st. So, there were a series of surprises and gifts from 1st till 5th. 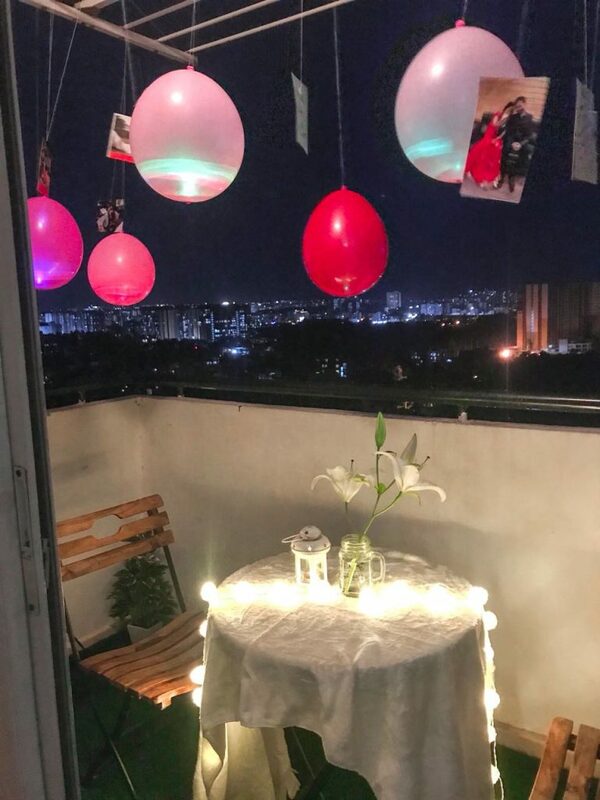 On 1st August, I had planned a dinner surprise for him. 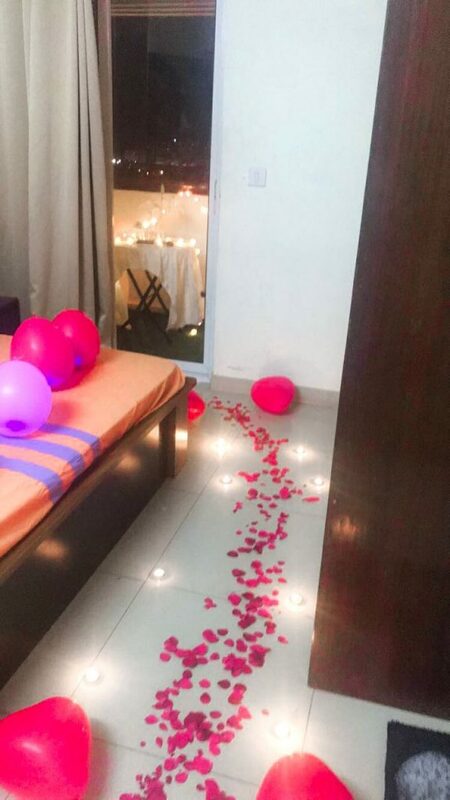 So I planned a sweet and simple invite for him, as he came out of the shower there was a post-it-note stick to a balloon hanging to the bathroom door, directing him to go to the balcony. 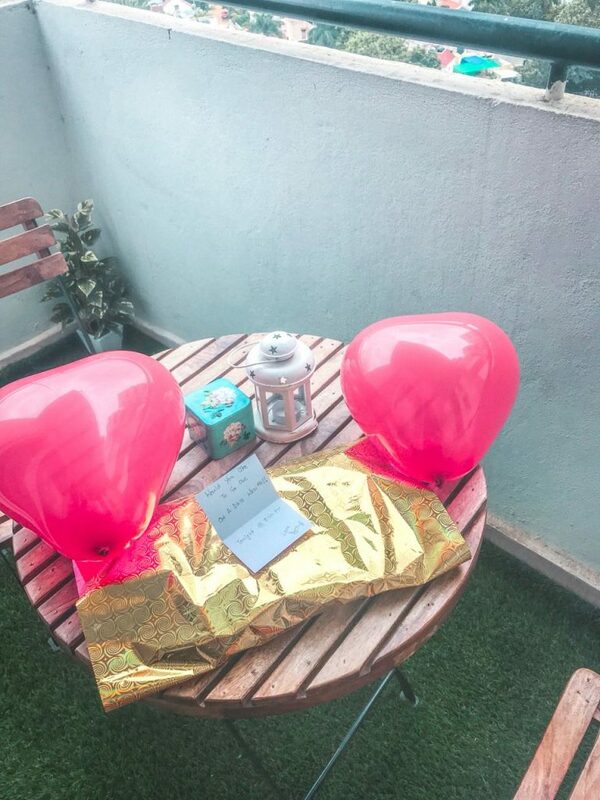 And in the balcony, there was a gift with a card. 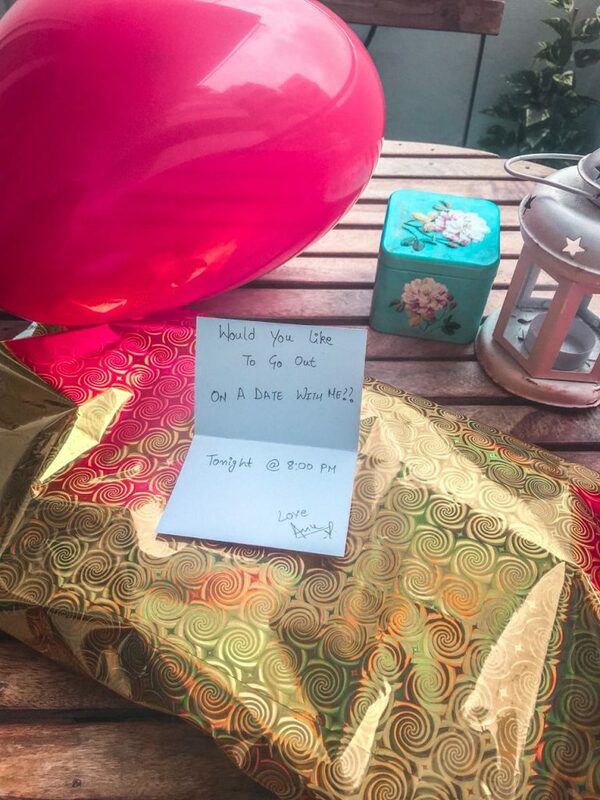 The gift was a shirt which he was supposed to wear for the date and inside the card was a handwritten note that asked him if he’ll go on a date with me tonight? But I didn’t specify any place so that was a little surprise. So all the things I said was setting up the plot, In fact once when it was raining in the evening I said that we might have to cancel the date as the booking is in open space but the date was never planned outside. 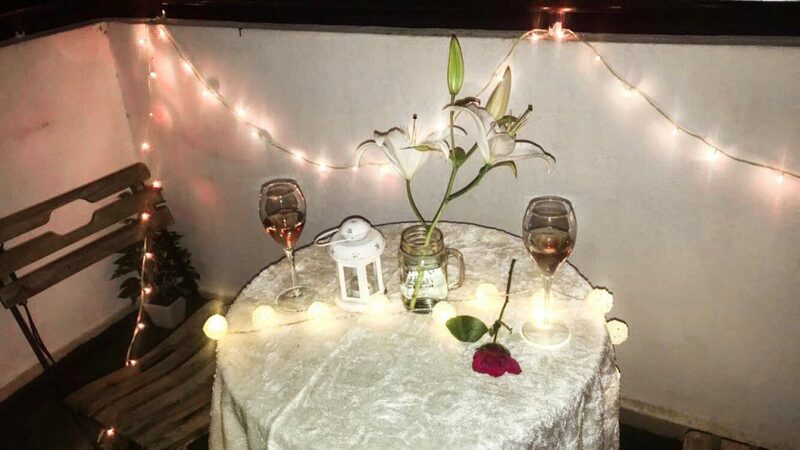 I wanted it to be a dinner, dance and a movie date so what better place for that than at home? I was preparing for it from few days ahead. 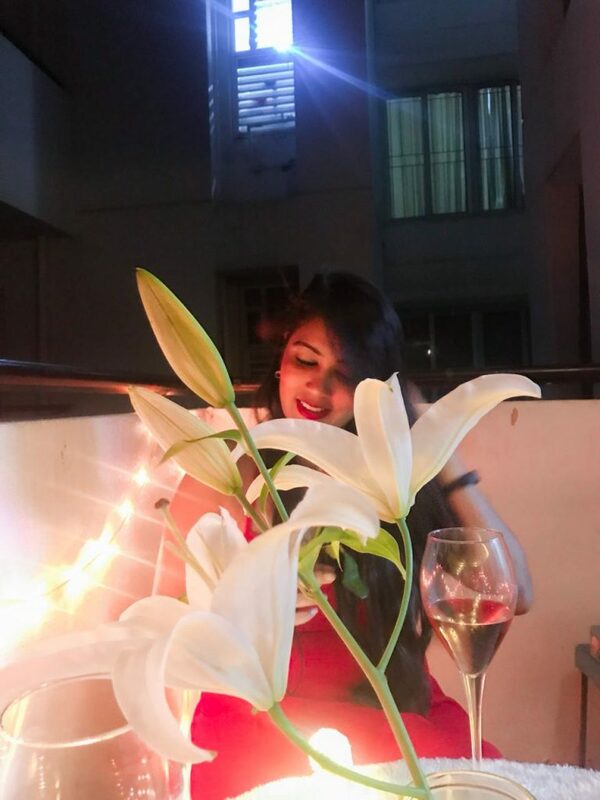 So before he arrived I had done all the decorations with flowers, balloons, candles, table setting and of course food. I had even put notes at our main door and living area directing him to the room. 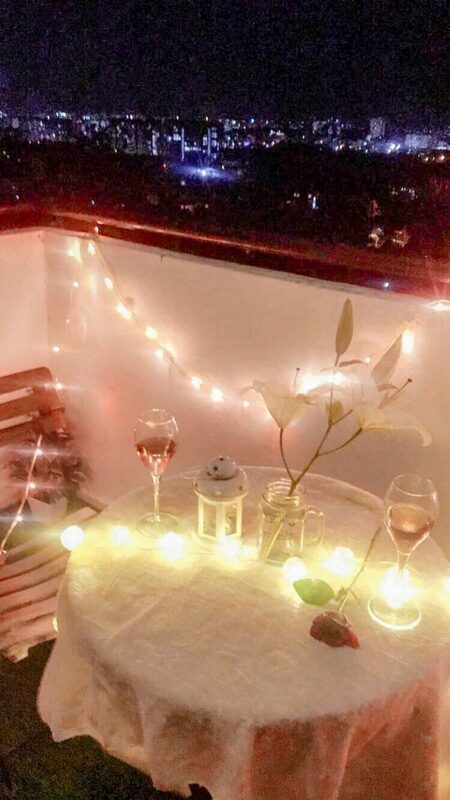 so when he entered the room, he saw a decorated path with soft music in the background while I was waiting for him in the balcony. (I was peeking through the curtains to see his reaction). He was super happy, I could see that big smile he really didn’t expect this. We cut the cake and enjoyed our dinner with music. 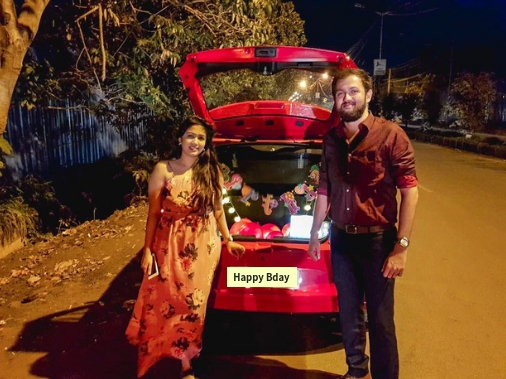 The second surprise was on the 2nd, as we had plans to go to Mahabalipuram to celebrate his birthday, I wanted that he should at least cut a cake with his friends before we leave. As a day earlier cake cutting was done at home I wanted to do something different this time so I planned to cut it roadside. But executing it was a little tough, as in how to decorate any place roadside and how to take Mehul there, without him knowing about it. 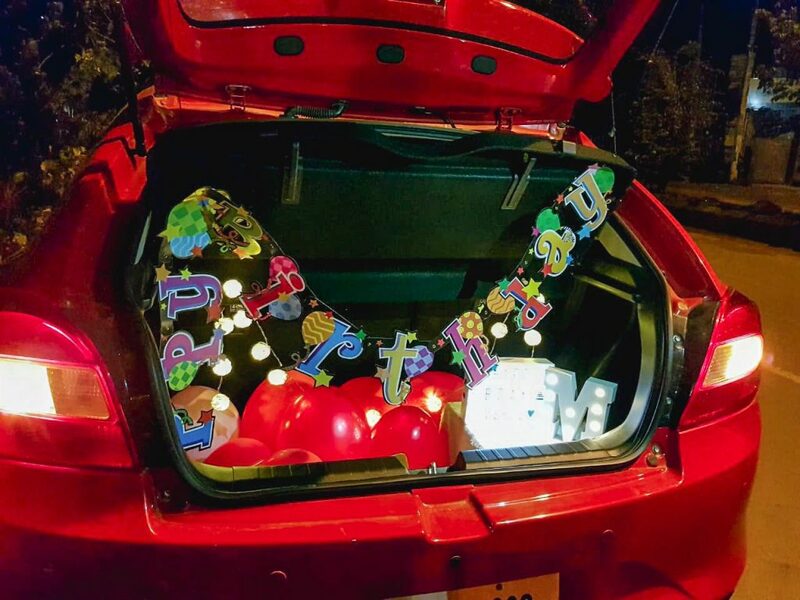 I came up with an idea of decorating our car boot space but the issue was how to decorate it as Mehul takes the car to work. So, on 2nd I asked him that as we have plans to go to a friends party later at night, he could go to another friends place (to play FIFA); I would join them there and we all can go to the party together. He agreed happily (he never says no to FIFA), and then my plan started. 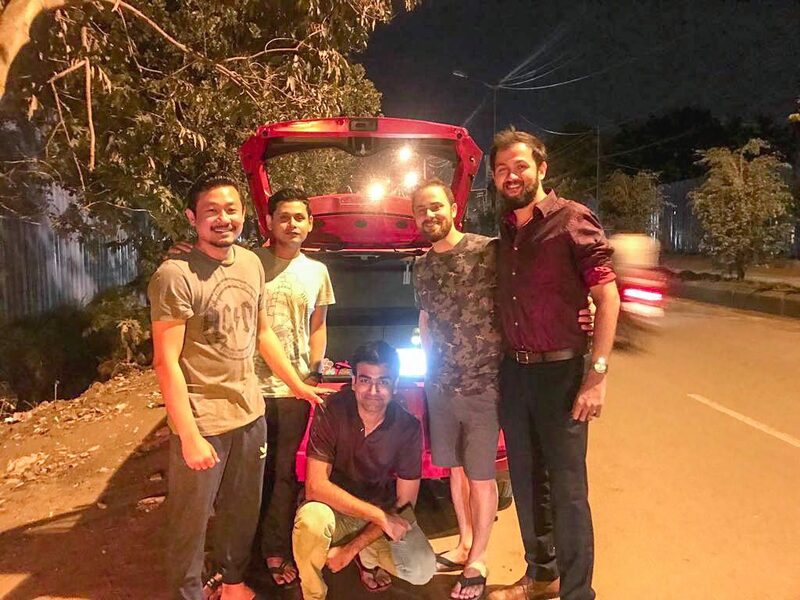 I asked Doley (Mehul’s and now my friend) for help, Doley made sure that Mehul reaches their place before we reached. 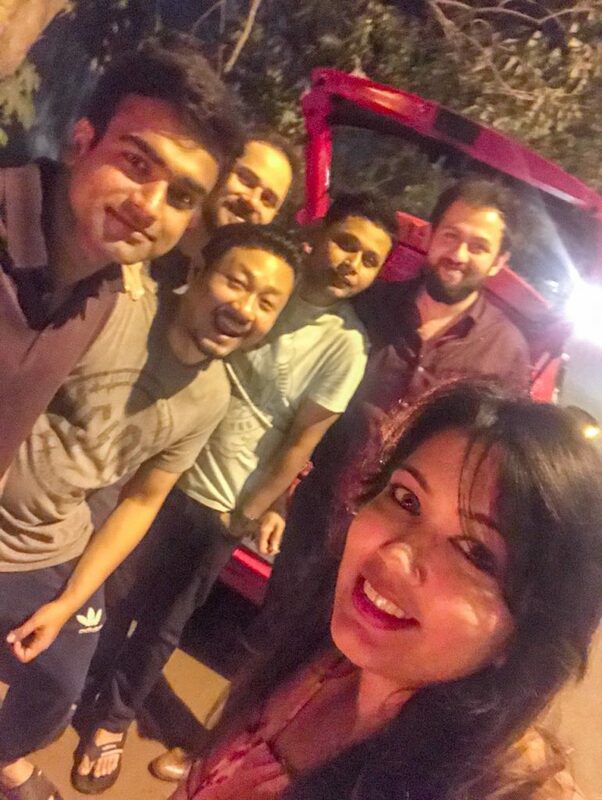 So, once Mehul was there with other friends we went to their parking. But the issue was to get the key (It didn’t strike to me earlier that I could have got the spare key) So, Doley went upstairs and asked Mehul for the key and stated that Water tanker would come so watchman had asked to park elsewhere. So I and Doley decorated the boot and went upstairs. (All the other friends knew about my plan). As decided all of us had to go to another friend’s place together. So on our way, I asked Mehul to stop the car and get me something from the boot and that’s when he got the surprise. All the friends joined us and we sang happy birthday in the middle of the road, cut the cake, click pictures. 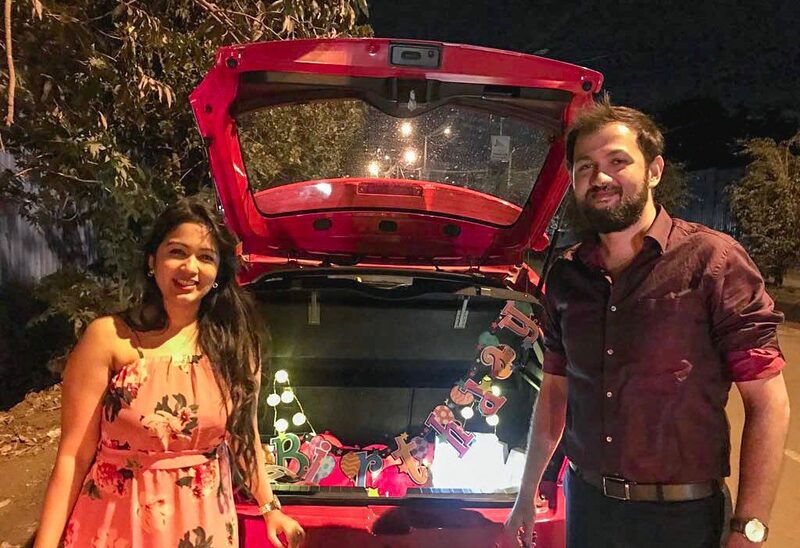 As, both me and Mehul love traveling we try to gift each other a vacation rather than any expensive gifts so my third and final surprise was planning and booking a trip but that didn’t work out as he came to know about it beforehand. So that wasn’t a surprise. 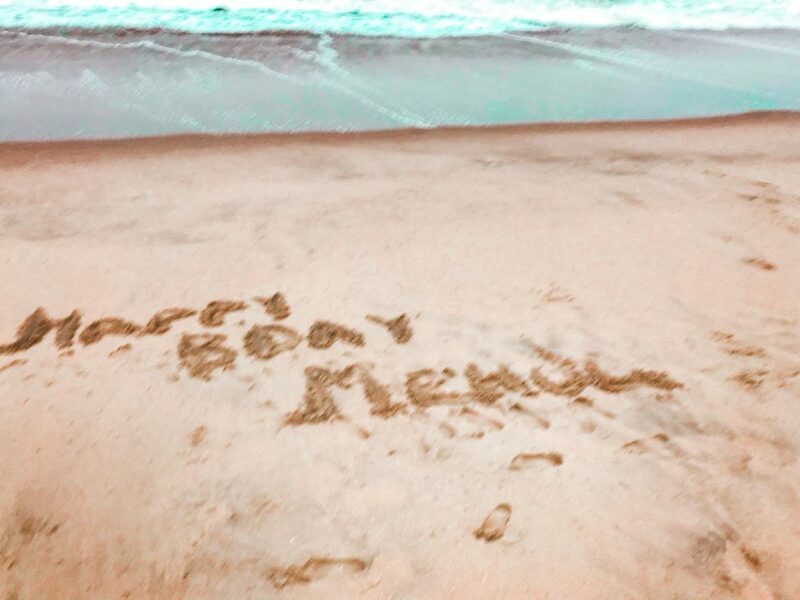 Still, I planned to give him a luxurious stay and cut his cake beachside on his birthday so that did happen. 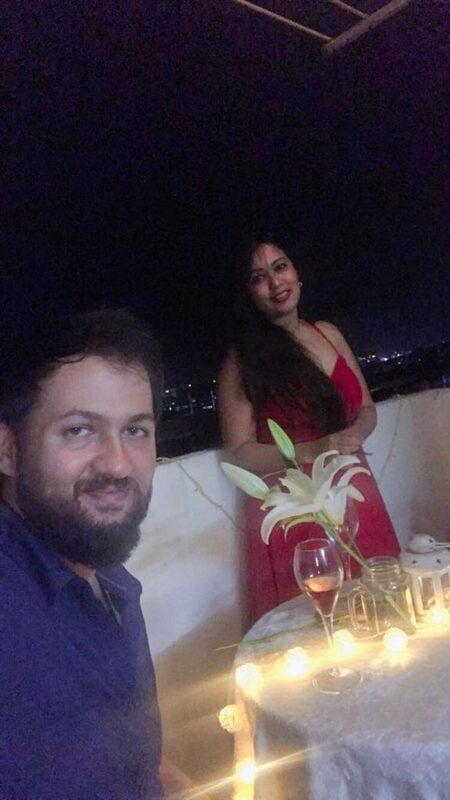 We went to Mahabalipuram and stayed in the Intercontinental Chennai Mahabalipuram resort, which has a beautiful beachside where we spent Mehul’s birthday eve.